FroStoppa: Ms-gg's natural hair journey and natural hair blog: I Don't Want to Spend Four Hours Styling My Hair! Well then don't. Why torture yourself? Been there done that. There have been plenty of times after hour number 4 or 5 of fooling with my thick dense natural hair where I said to hell with it. Here is my secret. Make your half styled hair look purposeful. The whole world doesn't have to know you are in the process of styling your hair. Make it look like you did it on purpose! 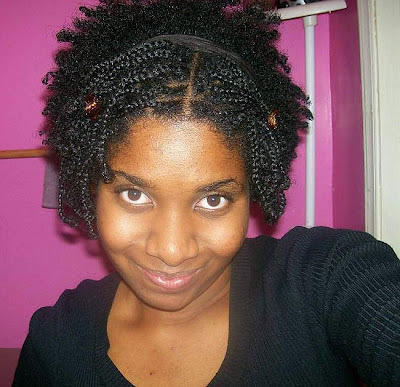 This hairdo dates back to December 2007. 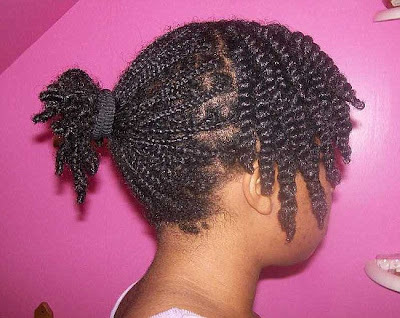 I slept on my prepping braids (braids that I do after I wash and condition my hair in preparation for a new hairstyle) and I had to be at work before I could finish the braids I began to do. What to do? I made it look I did this style on purpose! 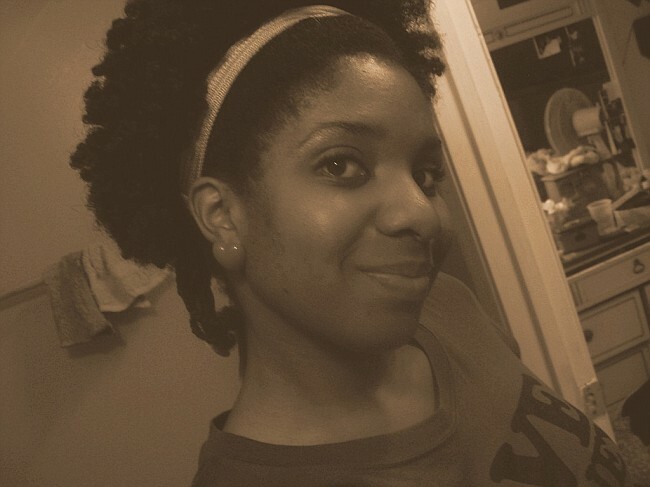 I took down my prepping braids and put them in a puff along with the braids in the front. As you saw in the earlier pictures I let the back hang down. This way I could look presentable to the world as I stopped halfway through styling my hair. If you feel like you cannot finish a hairstyle all in one sitting, make sure that as you begin twisting or braiding your hair that you are mindful of the fact that you are going to have to stop at some point and not be able to finish. This sadly is three days later and I am still not done yet lol. But I hooked it up and made it look like I meant it to look this way! 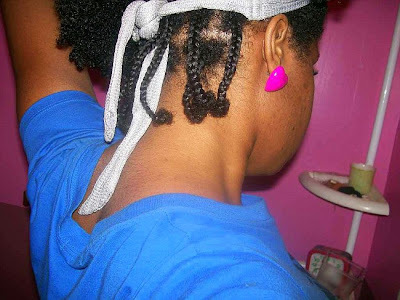 Unless you can come up with some creative way to conceal a crown full of braids and the perimeter of your hair loose (I am sure it can be done and if you have done this please let me know, I need some tips! 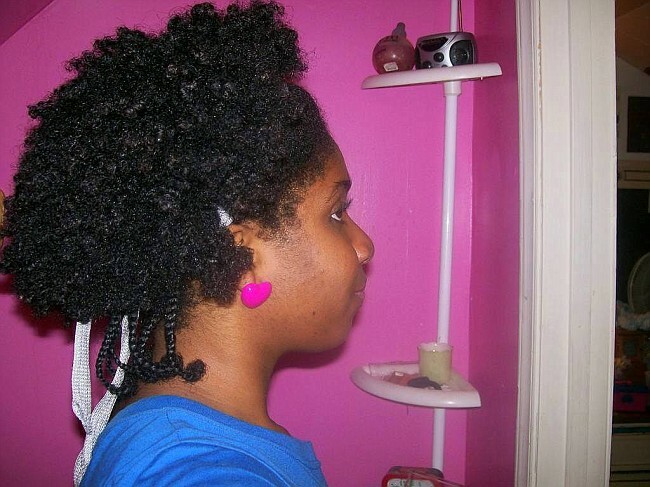 ), opt instead to start around the perimeter so that you can pull your hair up into a puff. I was in the process of taking down my box braids. Truth be told, I would have rocked this too with no problem, I think it is quite cute, so cute I called it the "half and half" back then. After I put aaallll these twists in my hair I wasn't feeling them. 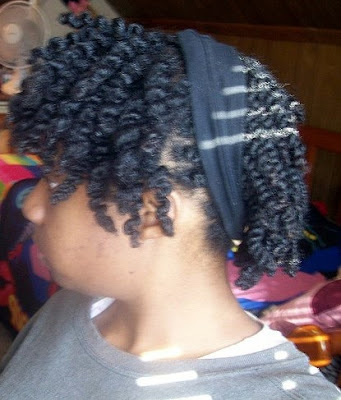 So I took the front down and put a cotton elastic band around the back that were still in braids and twists (oh dear). 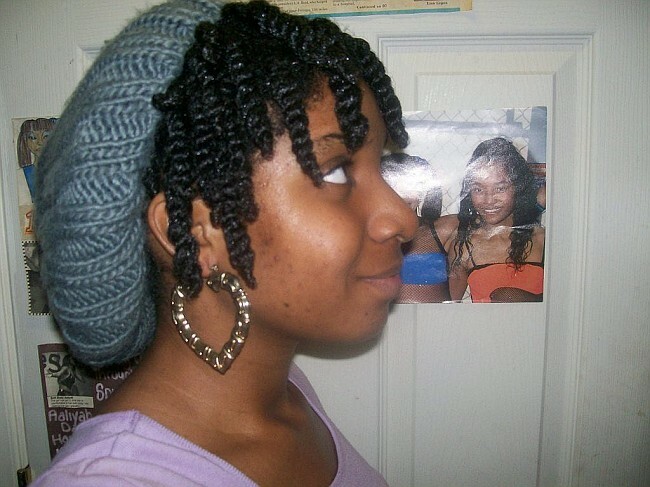 I call this one, "twists with a bang." And lastly, if I am not mistaken, the crown of my hair was undone in this photo. It was really late at night and I had to be at work 7 am the next day. My family was also having a surprise appreciation dinner for my father. I pulled my hair up into a ponytail for picture purposes and finished after but this style is also an option if you cannot finish all in one setting..
That is why it is important to keep in mind the styles you can create with half finished hair if you cannot finish your hair all in one setting. Next time you are faced with a long styling session, don't feel forced to finish it all in one setting! If you can turn your unfinished hairstyle into a wearable style so that you break up your long styling session into something more manageable, then by all means, do so! 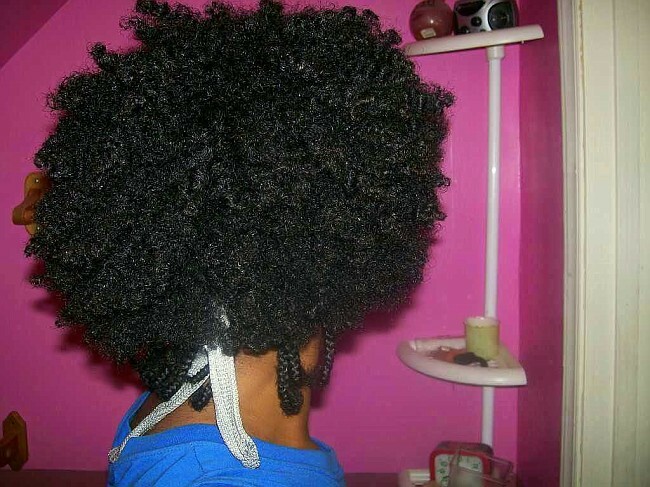 You don't have to become a slave to your hair unless you want to. Wow looks so great! This is a perfect technique specially if we are in a hurry and there is only limited time to complete the hair style. Thanks for sharing! New to your site....love it. I thought I have thick but you got me beat! Very cute post because when I start that first twist it can seem like such an overwhelming task. This post is great. 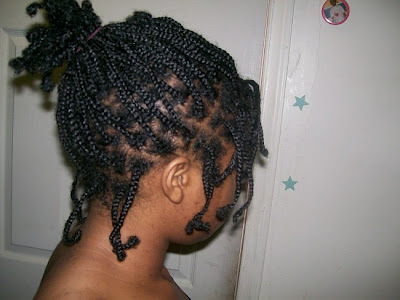 I have two little ones so the chances of finishing a whole head of braids or twists in one sitting are remote. I always try to do (or undo) the front section first so if I need to run out I can throw on a beanie and keep going. One day after we'd all come back home from an outing, I took my hat off to work on a few more braids and my husband just looks at me and says. "Black women are amazing. 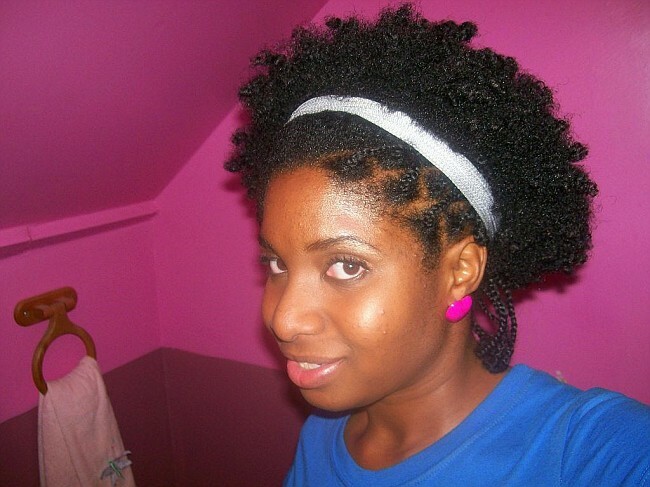 You all can leave the house with your hair half done and STILL look fly!"